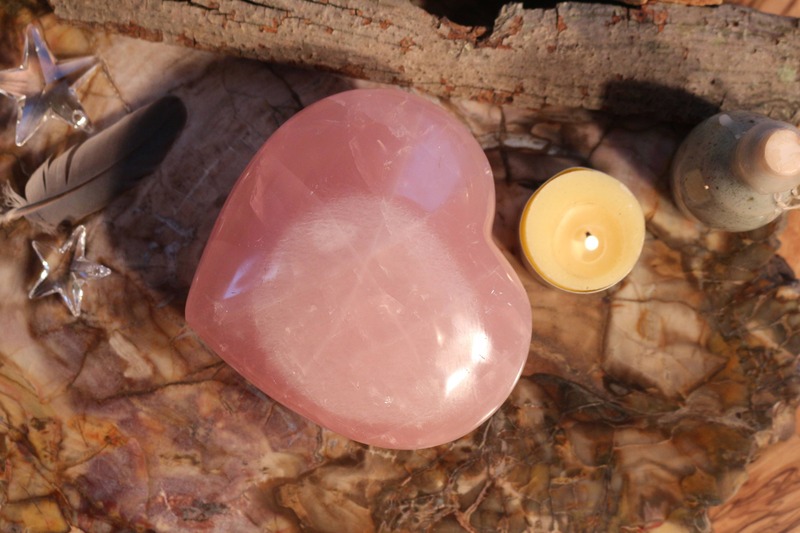 Extra Large, Puffy Rose Quartz Heart Shaped Stone 4.5 wide! 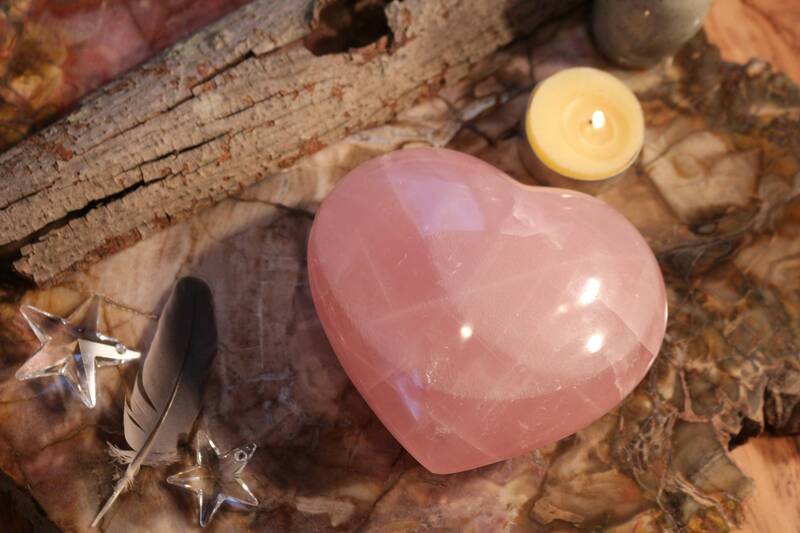 Extra Large, Puffy Rose Quartz Heart Shaped Stone 4.5" wide! 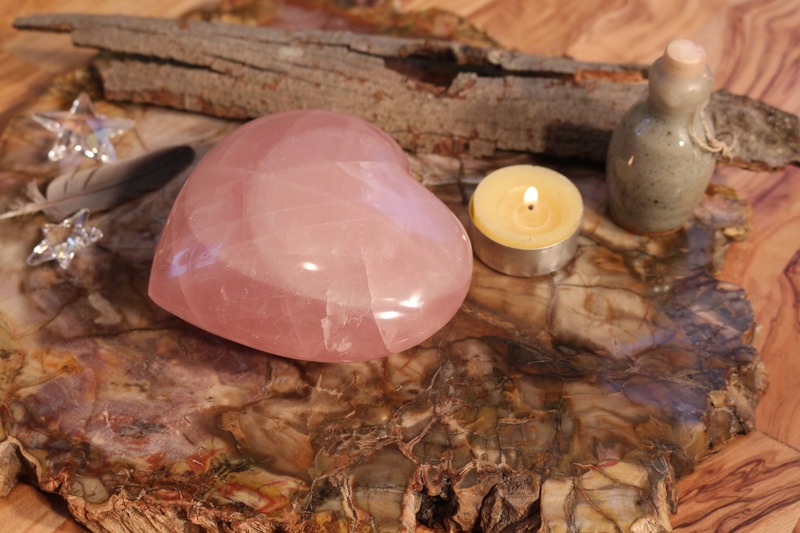 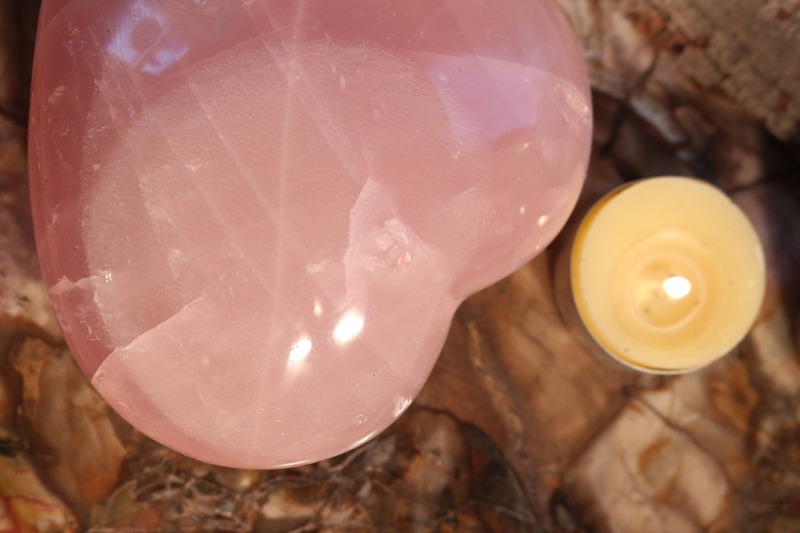 A hand-carved and hand-polished extra large, puffy like a pillow, Rose Quartz Crystal Heart. 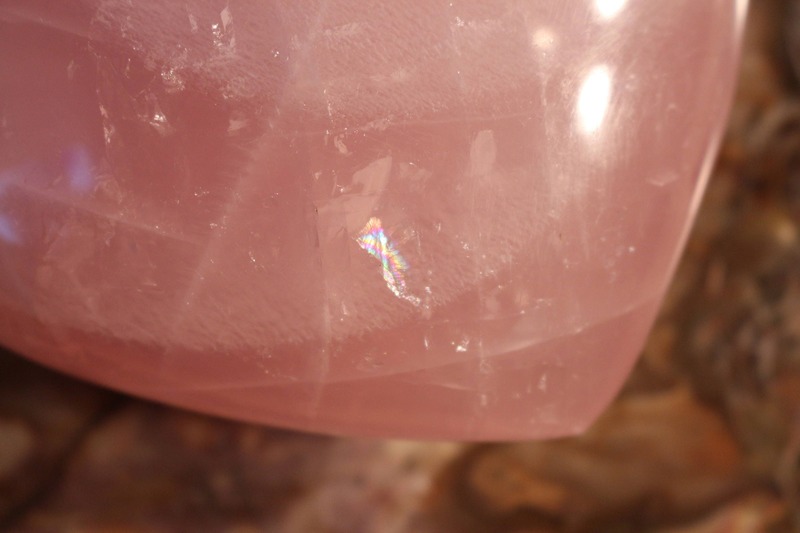 This "gemmy", polished Rose Quartz Heart has the dark shades of pink found only in Madagascar with different shades of pink, translucent in some areas, puffy like a pillow and has tiny rainbow infractions throughout. 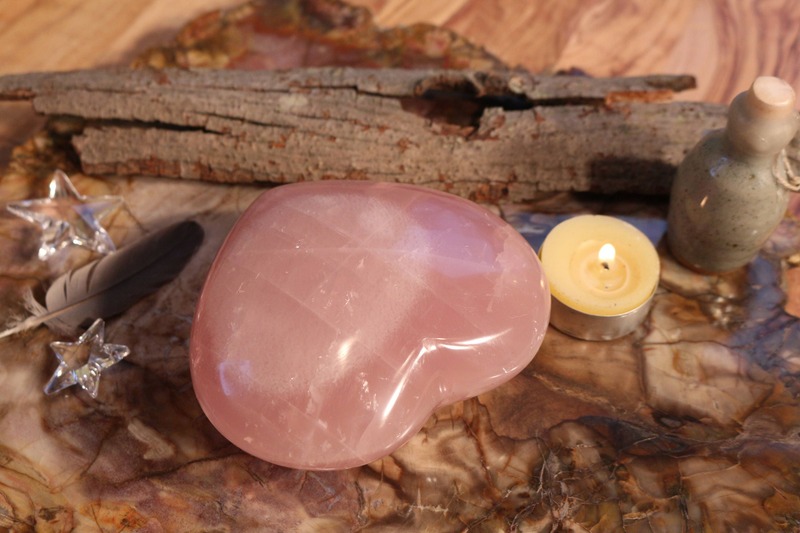 Use it as a paperweight at home or in the office. 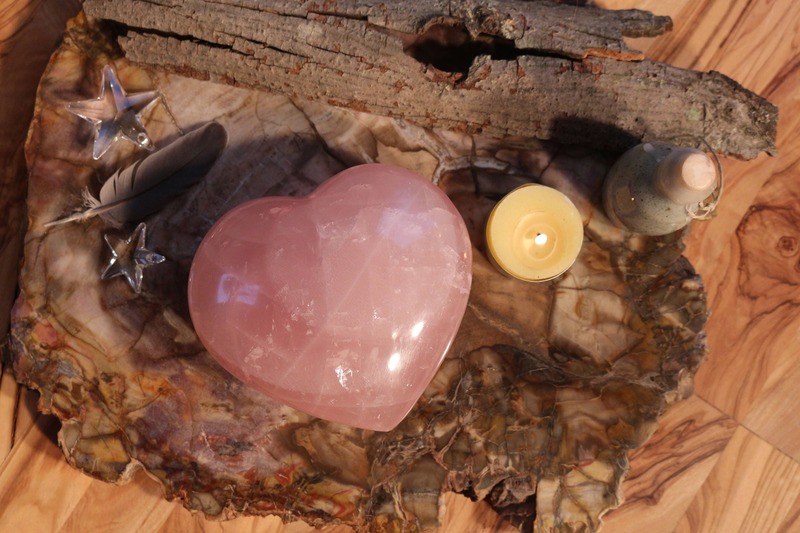 Place it in the center of your kitchen table and spread the love!